Gone those days when we have to look for the right time to head out for home or offices to take a bus or auto-rickshaw to travel anywhere. Today with the enhancement in the technology, people can travel hassle-free right from their doorstep by booking the cab or taxi via their mobile device. It’s easier to book a cab within a few clicks and the driver will assist you in the best way. This awesome facility introduced by the giant companies like Uber gives an incredible experience to the travelers in the UAE. The rides are affordable and under the budget of a common man who used to travel via buses or other transports. 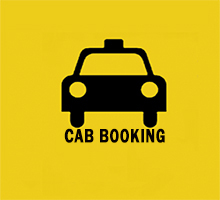 In addition, these cabs booking companies provide the 24/7 service throughout the year at reasonable prices. Within 10-15 minutes the cab will be at your door, moreover, make use of cab booking coupons to save a little extra on your every ride. Use cab discount coupons, promo codes, and much more to enjoy the ride anytime. Now enjoy 10% - 20% off on car rentals in Australia. Offer valid on rentals throughout Australia. Offer is applicable on almost all car categories. The discounts are automatically applied. No coupon code required. Click search and save now! Download Ekar app available on both play store and the Apple store. Register with a valid UAE driving license, Emirates ID (or passport); pay AED 1 via your credit card. Receive a confirmation email from our customer service team. Free Parking! Free Fuel! And Pay as you go with Ekar. Simply download ekar app and sign-up using your RAKBANK Credit or Debit Cards. Use promo code to get AED 100 Credited to your ekar account instantly. Offer is applicable for RAKBANK cardholders only. Visit promo page to know more about offer details. Book your holiday packages with Air Arabia and enjoy up to 30% discount. No coupon code needed. Hurry to avail this offer to save the money. Get flat AED 70 off on the first ride. Discounts are available only for new customers. Using Careem promo code is necessary. Offer is applicable for CITI Bank credit cardholders. This offer is valid for limited time period, add your CITI Bank credit card for payment method and activate this offer. Very flexible conditions of travel. The Pre-booking of seats for a minimum partial payment. You will get more time to finalize the list of group members. Careem is giving a special offer to HSBC Card users. Now get a discount of 15% on 4 rides per months. Maximum discount of AED 10 per ride can be availed. Grab the given coupon code to redeem this offer. Limited time only. Book at airarabia.com and get Escape for less starting from Rs.32,299. All flights are via Sharjah International Airport. Book online cab and get flat 20% discount when you pay with Mastercard. Apply the given coupon code to avail the discount. Offer is valid for all Mastercard credit, debit, and commercial cardholders. Offer is valid for all countries in the Middle East. Offer is applicable for all users. Earn a free Uber ride and enjoy the deal. You may get a discount up to AED 25. Enter the given coupon code at the time of checkout. Coupon code can be used in any other country for a free, first, ride. This offer is only valid for new Uber users. Checkout these points carefully to avail free ride easily and use the given Careem’s coupon code at the checkout page on final booking. Discount is applicable for the countries of Middle East. Mandatory to use Careem special coupon code at the checkout page. Use any platinum MasterCard for payments procedure. Checkout the offer highlights and avail this offer today! Get flat 20% discount on your first 6 rides. To redeem this offer, no minimum transaction amount is needed. All customers out there get the maximum discount of up to AED 15 per ride. Offer can be availed by the users who are eligible to use Emirates NBD bank card. The given coupon is not valid with any other bank card. Enjoy your rides with maximum discount and save on your journeys. The minimum transaction value is not needed. Copy this coupon code to redeem offer. The given discount is not applicable for existing users. Visit offer page to discover more details about the deal. Buy Air Arabia flight tickets and save more. Now save up to 50% on your multiple trips. You can fly more with flight pass. Save your time, money and efforts in trip planning and bookings. No voucher code required to redeem the offer. Fly to the heart of Europe Prague. Fly from 13 cities in India with convenient connections from Sharjah starting From Rs.38,399. For more details, please visit the promo page. Search, compare and hire cars worldwide. Sign up today with EasyRentCars to get exclusive deals and extra 5% off. No voucher code required to avail the offer. Visit offer page, grab more exclusive and hot deal online today. Available on prepay & partial prepay bookings. Coupon is only valid on English website. This promotion is valid from March 1st to June 30th of 2019. Coupons are valid for 30 days since the date you receive them. Coupons are valid on all destinations. Coupons are valid on all car types among multiple car rental companies. Coupon will be automatically applied at checkout. Visit offer page to avail the deal. Enjoy free Uber rides during Iftar every weekend during Ramadan with Emirates NBD cards. Enter the promo code at final payment. Offer is valid on trips Thursday - Saturday during Ramadan in the UAE only. The more you share the more you save. Get US$30 for each friend you invite to Easyrentcars.com. When your friends sign up, they get a US$30 discount as well. Offer is valid for a limited time.